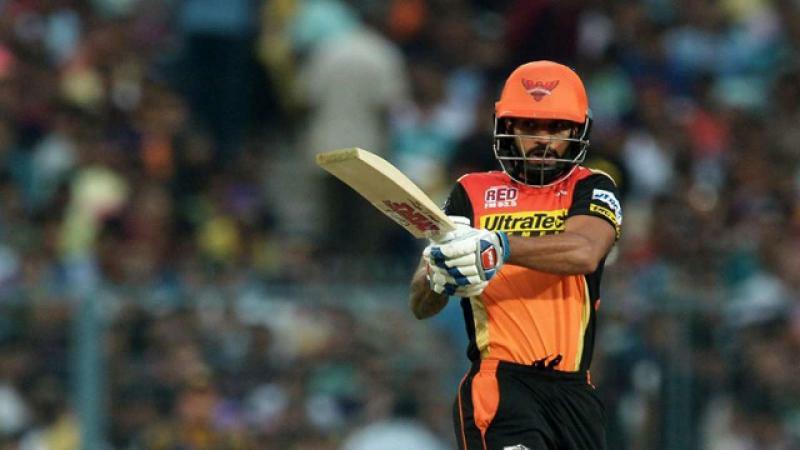 In exchange of Dhawan, Delhi have released all-rounder Vijay Shankar, spinner Shahbaz Nadeem and the young Abhishek Sharma to Sunrisers. Dhawan was bought back by Sunrisers in the auction earlier this year through Right to Match card for Rs 5.2 crore. The southpaw was unhappy about his price tag, leading to the move to Delhi where he played in the inaugural IPL in 2008. "It is with a heavy heart that we announce that one of our long standing players, Shikhar Dhawan, will be playing for another franchise in 2019. We were delighted to pick Shikhar up in the auction after using one of its RTM cards," said Sunrisers in a statement. "Unfortunately, it has become apparent that the player has been unsettled ever since with the amount he was bought for in the auction, which we cannot rectify due to IPL rules. We value the great contribution that Shikhar has made over the years and saddened that due to financial reasons, he feels it's time to move on," the statement added. Dhawan was with Sunrisers since 2013, becoming their leading run-getter with 2768 runs from 91 innings. Daredevils, on the other hand, will be hoping that Dhawan's arrival changes their falling fortunes. "We are thrilled at the prospect of having Shikhar turn up in DD colours for the next season of the IPL. Shikhar has had a hugely successful IPL career and will be an invaluable addition to team DD with the wealth of experience he brings," Delhi Daredevils director Parth Jindal said in a statement. "The Delhi fans love seeing their local boys in action and we're sure they will get lots to cheer for this season with players of Shikhar's caliber in the team," he added.